Establishing any business and excelling in it is not something that happens overnight. Starting a B&B or small hotel is no exception, especially if you are new to the hospitality industry. With countless factors to consider before opening a property to the public, and even more to contend with once your are running your business day-today, it can easily become overwhelming. But there’s no need to give up on your dream. 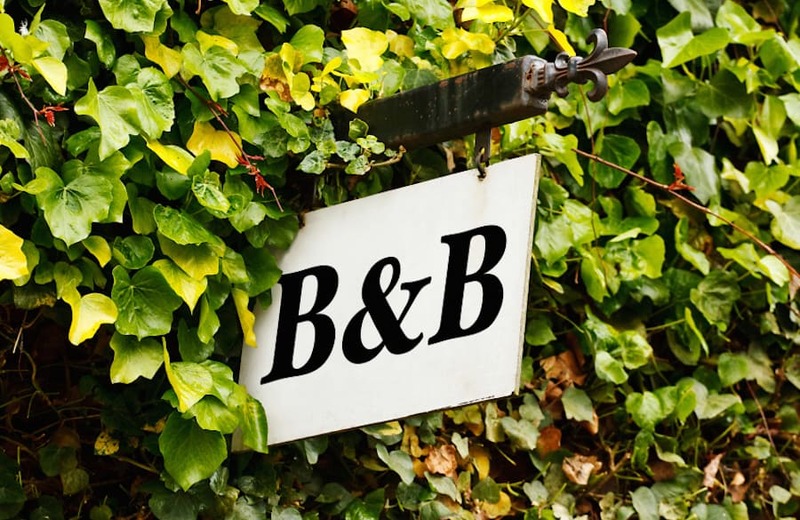 In this article, we’ll provide a comprehensive guide to starting and running a B&B, so you can put your best foot forward and start enjoying the benefits of a successful small business sooner rather than later. Starting a bed and breakfast is an exciting chapter in your life. It’s your own little place that you can transform into the perfect accommodation option for guests and a fun way to make a living. However, if you don’t get everything right in the beginning, you could be doomed for the duration. These are the most important things to consider. Is owning a bed and breakfast right for you? Firstly, you might want to think about if it’s actually something you want to commit to. It’s a huge undertaking that will require your devoted attention day in and day out. Many people may find the concept outweighs the practice. Are you good at dealing with pressure? Do you love people and enjoy being around them on a daily basis? Do you enjoy what are considered mundane tasks, such as cooking and cleaning? Are you an expert on your destination? Do you like the idea of being self-employed? Do you have a strong support base around you? Are you willing to try new strategies and technologies to achieve success? It’s extremely important you know what to expect from the job. This is not simply so you know if you’re a good fit, but so that you can do the job well and give yourself the best chance at success. It’s incredibly difficult endeavour to undertake alone or with a partner. Another consideration is why you are opening a bed and breakfast. Are you embarking on this journey because the lifestyle appeals to you and you love customer service, or because you see it simply as an opportunity to make money? Loving what you do is generally the recipe needed for favourable results. What you define as success is up to you. Maybe as long as you are receiving strong reviews and keeping your head above water you’re happy, or perhaps you want to be an award winning property. Are bed and breakfasts profitable? 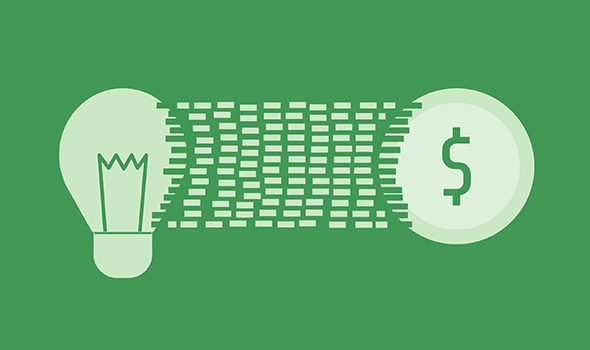 Any business can be profitable, and of course that’s the ideal goal. 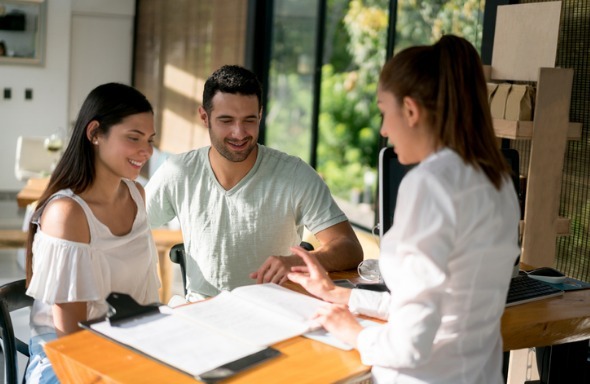 Hopefully by providing an exceptional guest experience and becoming popular, your property can achieve profit through the right management and strategies. Before that becomes a reality, you need to establish a steady revenue income. This means attracting regular bookings. Back to the question: Will you make money running a bed and breakfast? With every room filled that’s $540 per night. With 365 nights per year there are a total of 2,190 room nights. If every room is booked every night, gross annual income will equal $197,100. Considering B&B occupancy rates hover around 50% this total will come down to around $98,550. Then you have to factor in expenses and taxes, which could be significant, before you have your net income. The amount of money you can expect to make all depends on the size of your property, the area you’re located in and how luxurious your property is, but at the end of the day running a bed and breakfast is certainly not a get-rich-quick scheme. Or at least, if you treat it like one you’ll be sorely disappointed. Starting a B&B is more of a lifestyle decision rather than a savvy business choice and you’re likely to make any real profit when you sell it. Again, it comes down to whether running a B&B is a good fit for you. If you have already had a successful career and want to supplement your previous income, then it could be just the thing for you. There are a number of circumstances under which you might open a bed and breakfast. Perhaps you’re buying land to build one, or turning your own home into one, or purchasing an existing property. Personal expenses – The most critical expense when you become self-employed is insurance. Whether it is health, disability, life or insurance for the business or loans, it is important to protect you and your family in case you can no longer work. 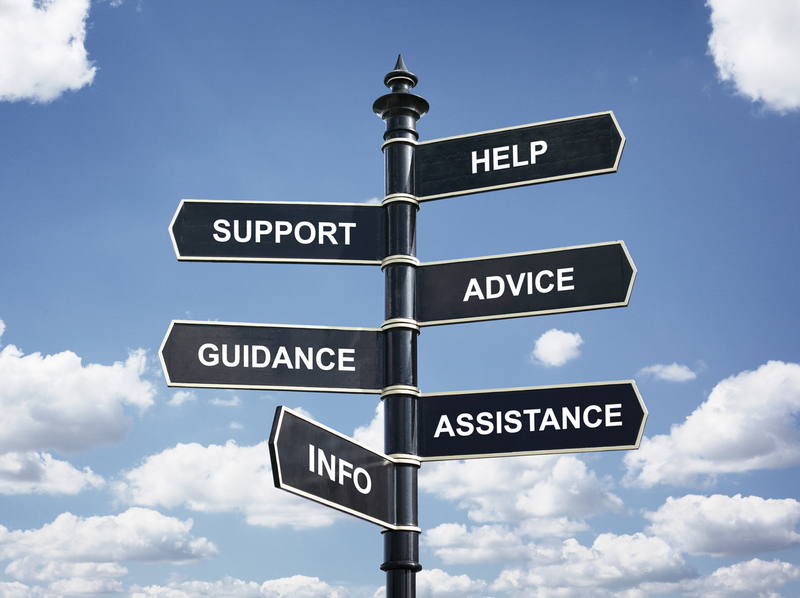 Talk to other self-employed people, your financial advisor and an insurance broker for recommendations. At the other end of the spectrum, it’s the little items like gifts, grooming, clothing, hobbies and entertainment that tend to be overlooked. So make sure you build these types of costs into your budget right from the start. Merchant services – Accepting credit cards is a must for serious bed and breakfast owners. Figuring out what the real rate is can be difficult when there are so many different types of cards – commercial, reward, international – each with additional fees. A simple solution to us is to use an integrated payments solution when setting up the technology you’ll use to help manage the property. Wasted food – While there are lots of ideas for using up food that hasn’t been served, coming up with ways to decrease the amount of food that comes back on guests’ plates is always a challenge. Ask people when they reserve if there is anything they can’t or don’t eat and keeping track of that information for menu planning. Pay attention to foods that consistently come back on the plate and if the serving sizes are too big or there’s a garnish people don’t eat ect. Damaged linens – Unlike the wear-and-tear of a normal home environment, and since your linens must be in pristine condition, replacing your linens on a regular basis is a priority. There is a reason that large establishments use white linens – they are so much easier to replace one piece at a time. Having everything white requires very little sorting and it is easier to spot stains and marks that need to be treated before the piece hits the laundry. Website – Websites need constant monitoring, updating, and upgrading if you want them to continue to deliver bookings. You also need to make sure it’s secure. All of this costs money, each time you need a change made. However, you save a lot of time, pain, and money by using a website builder provided by a hotel industry tech company. Room furnishings – The first step to achieving your bed and breakfast opening is to make sure that all of the electrical outlets, plumbing, and landscaping are up to code and aesthetically pleasing. Then you’ll need to fill out the spaces with furniture and make sure all your painting is up to scratch. 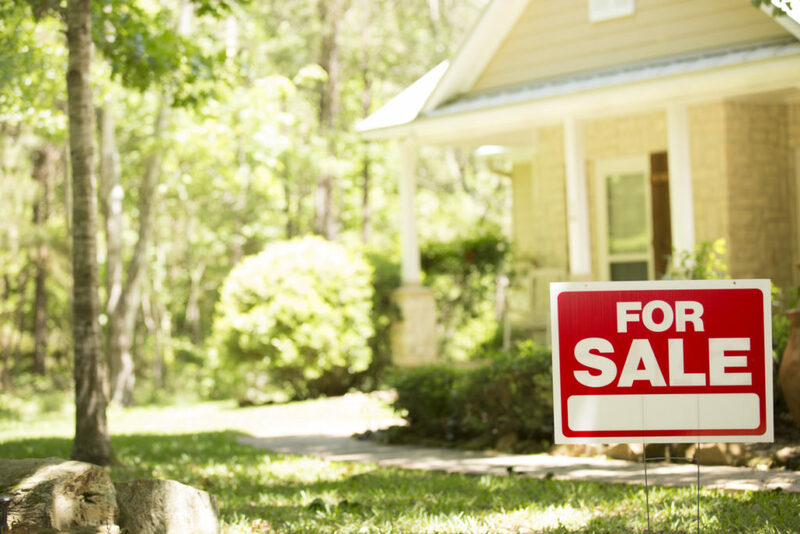 Plus, you’ll want to put a nice welcome sign out the front of your property. Smoke detectors and fire alarms – Obviously these are required by law and could save your life or the life of your guests. Business supplies – The days of running a business from pen and paper are fast disappearing, so it’s very likely you’ll need to purchase a computer and printer, and perhaps other devices like tablets so you can still manage your business while on the go. Kitchen equipment – You’ll need enough cutlery, plates, glasses etc for all your guests plus some in reserve in case of damages. Cooking and cleaning equipment is also essential. Zoning – Zoning for a B&B is established at the local government level – and varies with almost every authority there is. It can include things like the number of rooms you can use for guests, if the owners must live on the property, parking arrangements, traffic and noise concerns, etc. If you don’t cover this off, it could cost you a lot of money in fines for running an illegal business. And this is all before you account for costs on advertising and marketing, or if you need to hire staff! If you’re new to opening and running a bed and breakfast there are countless pitfalls you might encounter if you’re not careful. Although it’s vital to be a “people person”, that alone is not enough. You need to educate yourself about how to market and sell your business and figure out what works. Otherwise, you’ll be overflowing with hospitality and no one to provide it to. 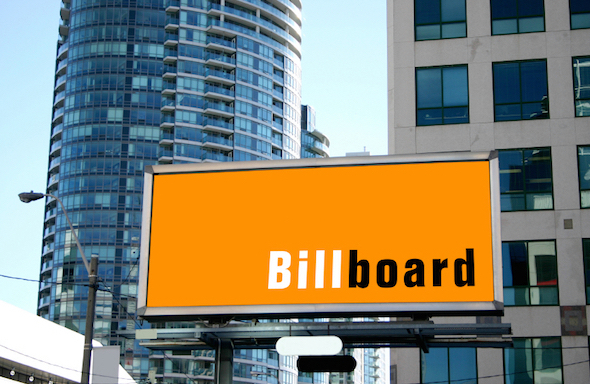 Printing off brochures and putting up billboards might seem like a great idea, but what if your ideal market is actually international? This is why you need to know who your ideal guest is, a lot of the time it will be an overseas visitor wanting to see and learn more about the country they’re visiting. Think about what will bring you business. It’s likely that being online will help you more than anything other tactic. You might be so excited about hosting guests that you go above and beyond the normal realms of service. This is all very well and it will certainly gain you positive customer reviews but if it starts eating away at your profit margins it won’t be sustainable. Don’t be afraid to raise prices to match the quality of service. If you deliver luxury, then you should be paid for it. An abundance of work goes into owning and running a B&B, so it’s more or less impossible to run the whole show on your own, even if you’d like to. It’s recommended to find some help, be that a partner or hired staff along with purchasing a property management system to handle all the admin tasks. Without research, you’re setting yourself up for failure. You need to conduct comprehensive analysis on the area you want to open in, your possible competitors, your possible target markets, and what guests will be expecting from a property like yours. Knowing this information will give you a clear plan of attack. As we know, first impressions are the biggest impressions and a bad first impression is hard to fix. If you open your property before you’re truly ready you risk guests being exposed to disorganisation or unprofessionalism. This will give you a negative reputation straight away, and a new business can’t afford that. Setting clear rules and policies for your guests will prevent your guests taking advantage of you or any awkward conversations or misunderstandings. Not only do you need to set clear policies, they must also be visible and presented to guests prior to and during their stay. Sending out pre-arrival guest emails outlining all the policies your bed and breakfast may have around refunds, pets, property damages, early check-ins and late check-outs is the best way to keep guests informed. It’s imperative you know what to expect from the job and the industry. As previously stated, you have to know this is the right job for you, lest you risk burnout in a short amount of time. If you’re not trying to differentiate your property and give guests and unique experience they’ll remember, what’s the point? Study your competitors and see how you can do things outside the box to delight guests and create the reputation that your property is the best in the area. We now live in a technological world and those who stick to pen and paper management methods are being left behind, still frustrated by the amount of time it takes to do their admin and confused by constant human error. Investing in technology like property management systems, channel managers, website builders and more will not only improve the way your business runs, but also the perception guests have of your business. These systems will give you cloud-based benefits that include automating and accelerating your administration and paperwork tasks, helping distribute your rooms online and expand your market reach, and enable your website to look and function great while keeping staying up-to-date with Google. Before you operate, you need to make sure your business is fully legal and safe. This means taking care of zoning compliance, providing enough parking, obtaining permits and passing mandatory inspections, ensuring certificates and training like first aid and safe food handling are up-to-date, and purchasing insurance. Any property with five rooms or more is too much to take on without help. When you decide you do need someone to help you run your B&B, it doesn’t mean it’s easy to find the right person. Find those skill sets that you do need - is it bookkeeping, cleaning, or cooking? Or do you need a multitasker who can do a little bit of everything? Remember that your time is better spent on servicing guests and figuring out how to market your property. Create a detailed job description once you’re sure you know what you need. The next step is getting your job description out to a talented pool of individuals. Advertise on social media, through family and friends, on association job boards and website forums, and regular job sites. Once you’re interviewing candidates it’s important to uncover quickly if they’re right for the role and also the right fit to work with you personally. Ask open ended questions to reveal their true character, get references from past employers, and even conduct practical tests if need be. You should only hire people you can trust. Are fair in compensation. Without this, it’s impossible to start off on the right foot. Try to help them do their jobs. Ask them what frustrates them and how you can help. Schedule regular meetings to find out how things are going. Be open and honest in your communication about their performance (without being a bully). Involve them in big and small decisions. Whether it’s choosing the wallpaper or changing up the breakfast menu, make them feel like their input is valuable. Challenge them to have pride in their performance. Say thank you. Notice the little things they’ve done. There are a number of advantages to buying an established bed and breakfast since a lot of the groundwork has already been done for you and revenue stream should be immediately accessible for you. All of this relates to finding the best B&B for you, one that will suit your envisioned goals and lifestyle. Is the decor in good shape or does it need upgrading? What type of guests stay here? Is business seasonal or year-round? How soon would renovations be required? Further factors that will influence your decision to buy or reject a property centre around why it was sold in the first place. Is it for financial circumstances, family reasons or does it require a big investment? It’s essential to know why it’s being sold so you aren’t putting yourself at risk. One of the most important things you can do is to put the opportunities into perspective. Perhaps you’ve found the perfect property but the area is saturated with businesses just like yours. Researching the local competition before you buy is a smart move. This way you can sense any chances to create a niche for yourself and continue attracting regular business. It’s best to give yourself a few choices and narrow your decision down to more than one option. Then you can compare the revenue opportunities for each respective property. Once you have your B&B’s doors open it’s time to knuckle down to the they day-to-day operation of the property. Marketing your property, taking reservations, checking guests in and out, perfecting the service you provide, maintaining a strong relationship with your audience, reporting on performance, and budgeting are all things you’ll need to look at while you go through life as a bed and breakfast operator. There’s a lot more to it than cooking breakfast and pointing travellers towards the nearest attraction. It’s a lot to juggle but we have tips and tricks for all of it! Online distribution is one of the most effective ways to bring guests to your hotel. Modern travellers typically do their research and booking on travel websites, so that’s where you need to catch their eye. Advertising your rooms on multiple channels gives you the best chance at raising your occupancy rate. The most popular channels (known in the industry as online travel agents, or OTAs) include Booking.com and Expedia, but Airbnb is also suitable for small properties, and there a number of niche channels that suit particular properties or guest types. It’s important to have a diverse channel mix and advertise all rooms at the same time. Normally this would mean a lot of time is spent on manually updating your listings when bookings are made and increase the risk of double bookings. However, if you use a channel manager these processes will be automated and updated in real-time. That takes away one worry. You do have to pay a commission fee to these online travel agents when they secure a reservation on your behalf but that’s no reason not to connect. In fact, direct bookings can still occur from these sites. If you have your profile completed accurately, visitors can move from your OTA listing to your own website. From there they may make a booking directly with you, commission-free. You can make this easier and more attractive for them by improving the look, speed, and functionality of your website and integrating an online booking engine. Just like a property management system and channel manager, a website builder and booking engine are designed to make bookings simpler for guests and more seamless for you, while aiding your ability to show-off your property and destination. One of the greatest benefits these technologies have is that they work together to keep Google happy, make your property easily accessible, and provide guests with an easy reservation process. You can also take bookings via your social media channels on Facebook and even Instagram through your booking engine. Given how often travellers are browsing on these platforms it’s an essential marketplace for your property. Make sure you’re working hard to build and audience and increase engagement by posting interesting and relevant content regularly. Two of the most recent tactics to improve your online distribution come in the form of mobile devices and metasearch sites. Mobile technology has been impacting online distribution for the last several years, but its rise in popularity is not slowing. You not only need to have a working mobile web design, but you need to be partnering with distribution agents who know how to drive mobile traffic. Guests who use their mobile phones or tablets to browse your website are looking for large, clear booking buttons, simple booking forms and a safe way to make their payments. When it comes to metasearch sites, a connection with them can result in a high increase in traffic volume. Metasearch sites offer visitors real-time booking information about a large number of hotels and B&Bs in their chosen destination, allowing them to quickly compare room rates and facilities in the relevant market. These channels are no longer optional for hotels - they are a necessary part of your distribution strategy. Explore different metasearch sites, such as Google Hotel Ads, Trivago or Kayak, in order to discover the best distribution channel for your property. How does a bed and breakfast work in an ideal world? We say ideal world because that’s what your guests are looking for. They don’t want any friction or disappointment. So you need to do everything you can to meet these expectations. Travellers will usually first see your property online. They may have performed a Google search, be browsing online travel agents, surfing social media, or looking you up after receiving a recommendation. This first impression will hopefully wow them; meaning you’ll need some fantastic imagery to catch their eye and ignite their imagination. Once they’re aware of you there’s a high chance they’ll visit both your website and social media channels providing the first impression was positive. From their perspective, they have a lot of options so they want to know everything quickly, without having to search endlessly for information. The design of your website is paramount. Ideally you’ll have clearly visible book now buttons, straightforward menus such as ‘about us’ or ‘attractions’, a gallery of images, and rates and availability all accessible from the home page. If you make it simple for guests, it’s more likely they’ll reward you with their reservation. Once a guest has confirmed a booking you can both start preparing for the stay. Travellers will become excited and will begin anticipating their trip. They’ll want to plan the activities they’ll do, what they should pack, where they should eat etc. Ideally, you’ll want to know as much about them as possible so you can better serve them when they arrive, and you should be able to help them out with any enquiries. Send pre-stay emails to suit both these needs. Guests are always happy to hear from their hosts prior to a stay and if you come bearing gifts in the form of recommendations and tips, they’ll be even more pleased. You can also use this as a chance to ask them if they require anything in particular from you. When the guest has settled into your property it’s all up to you. Warm, personalised service is what they’re after while they look to relax in a quaint location and explore the surrounding area. Stay attentive to their needs and be available as much as you can in case they require assistance. If there are any contact details you don’t have yet, make sure you capture these so you can remain in touch with your guests. After they leave you may want to thank them for the stay, ask them for a review, invite them to stay again with a discount, or alert them to the fact they left something behind. The ultimate goal of welcoming a guest into your property is to gain a loyal customer who will come back each year. Obviously some businesses are more successful than others and there are many reasons for this. 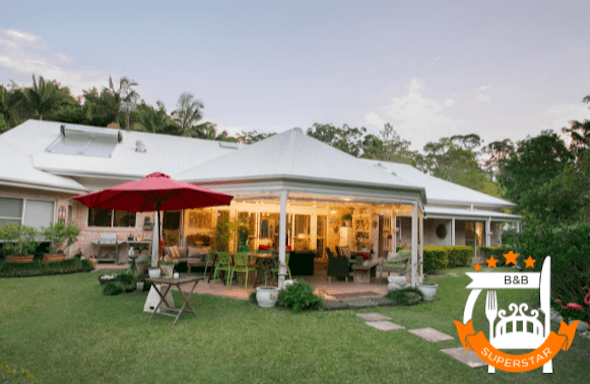 However, you can at least eliminate any fault of your own by ticking all the boxes when it comes to best practice management of a bed and breakfast. Here’s a list of the best ways you can manage your B&B and set yourself up with the best chance of success. Guests will be so much more likely to have a great experience when you help them beyond just getting to your property. Travellers want experiences and they are looking for help and guidance on what to see and do locally. The industry is starting to catch up to the times and you can be sure that your competitors are a part of the group that is going online to find new guests. It’s a must in a technological world. There are so many tools and resources out there to help those that are thinking of owning an inn or bed and breakfast, or have just purchased one. Don’t try to do it alone, there are literally thousands of others who have gone before and are willing to help future and new operators. Social media is one of the key windows to the world beyond your B&B. It’s a great marketing tool and it can expand your reach with very little financial investment. Today’s travellers, particularly millennials, want to be connected on social media so don’t deny them the option. While travellers expect traditional check-in times during the late afternoon and check out times in the late morning, this is not always convenient for the modern guest. As a B&B operator you have the unique opportunity to offer personalised service and allow guests to select a check-in and check-out time that works for them. Busy travellers are bound to forget something, and this can be both frustrating and inconvenient for them. When you have supplies on hand for your guests to use or borrow, you will significantly improve their experience. You may want to consider purchasing extra toothbrushes, toothpaste, deodorant, feminine supplies and phone chargers. Your guests will rely on you for expert dining recommendations, for insight into the best activities and for information on the region’s history. In outdoor gardens and common lounges, you may want to consider adding novels by local authors, tour guides, and brochures that advertise discounts and promotions for nearby activities. To make sure you’re in a position to provide the best service possible it’s important to look after yourself before you start looking after your guests. It’s useful to plan your day the night before it happens! Technology should not be used to replace personal interaction with your guests, but you can easily invest in technology that complements your B&B management strategy. A property management system that features an online booking engine, for instance, allows your guests to book directly with you online. A mobile app allows your guests to interact with your brand in a way that is convenient and useful. The hospitality industry is an innovative and exciting industry, and there are always new ways to improve your property management strategy. Before you do anything, you must first prove to yourself that running a B&B will be a worthwhile venture for you (and your family). Drawing up a thorough business plan is the way to do this. The business planning process will include a lot of research. It’s important to be realistic in evaluating what you can offer potential guests. Ask yourself what potential guests want and how you can bring your wants and their wants together. You also seek out online forums and groups, since these are full of people with the exact experience you’re looking for. The same goes for local tourism organisations and associations. Online review sites are an essential consideration. You can use these to gain valuable feedback and also learn how to better run your business and serve your guests. You shouldn’t forget about your own real life experiences either. Over the years you must have stayed in properties just like yours. What do you remember being good and bad? Use these answers to inform your own business. Your bed and breakfast business deals with customer expectations, so the most important thing for you is to pass the right message to your customers. You need to formulate how your brand will be defined and how it will be viewed by travellers. Tweak your website so that it speaks the language of your ideal guests. Make it about them, not you. Try not to appeal to everyone, but appeal deeply to your ideal guest. Once you are clear on who you want to serve, then ask them what else they would love to buy from you, and then develop more products and services based on what they want. The following can be used as a guide to develop your business plan. Consider each of the following points as they apply to your situation. Why are you considering opening a B&B? Is it for financial needs or other reasons? What is your desired profit (net income) over a predetermined number of years? Do your B&B goals mesh with family goals, both long- and short-term? Capital needed for startup and ongoing costs. What do you need to organise by way of licences and permits in your location (local, county, and/or state): zoning, building and housing codes, health regulations, tax collection, etc. Obtain an estimate on the cost for liability and other insurance. What are the tax requirements (local, state, federal) that you'll need to meet? It may be useful to meet with an accountant or a tax preparation specialist. What sort of business structure - sole proprietorship, partnership, corporation or other - will work best for you? Investigate the socio-economic characteristics of your targeted guests. Consider what you prefer and/or you will most likely attract. Estimate the number and location of potential guests. How far will they come to stay at your property? Does your area attract a lot of tourists? Does the demand exist for the type of property you want to be? Consider distances and routes to specific targeted areas close to your bed and breakfast. Educate yourself about trends in the preferences of B&B guests. Study the quantity and quality of similar bed and breakfasts and attractions in your location. How profitable are other local B&Bs? What are the trends? You might not be able to get this information directly, but talk to the Chamber of Commerce to see whether B&Bs in the area are stable businesses or if they seem to come and go. Where do your competitors advertise? How will you position yourself in the market in comparison to other B&Bs? What kind of brand are you? Luxury, budget, a couple’s retreat, adventurers dream, etc? Startup and maintenance costs (facilities, equipment, supplies and services). Pricing facilities and services e.g. housekeeping (if you plan to outsource this). Inventory and depreciation record keeping. Bed and breakfast standard operating procedures. The time will come, hopefully not too soon, when you may want to sell your bed and breakfast business. However it’s not always as easy as putting a ‘for sale’ sign up. Potential buyers will naturally be interested in your financials, so make sure you work with an accountant to make sense of your taxes, finance records, utilities, and receipts. An inspector will examine everything from the roof and foundation to electrical systems and staircases. 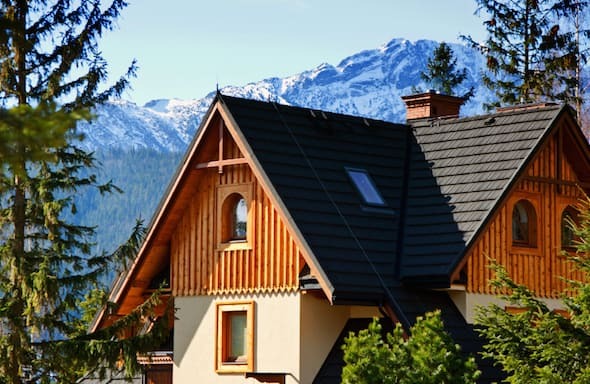 By ensuring your B&B is up to code and there are no issues, nothing will show up on the buyer’s inspection report forcing you to lower your asking price. So many factors affect what price you should list your property at and it will be hard task to get that right yourself. Team up with an agent and get a valuer to advise you. Whatever price you set will eventually need to be backed up with tax returns and other documents related to the income-generating potential of the business, as well as what it costs to keep it running. If you’re getting ready to sell it’s even more important that your business is performing well. Perceived value will really help you make the sale. Potential buyers will want to see regular bookings and high review scores so they know they aren’t walking into floundering business. It could very well be easier for you to leave the furnishings behind when you sell your property and it will add an incentive for buyers so it could be a win-win. Find a Realtor that is knowledgeable and has experience in the hospitality and lodging industry. Finding one with specific knowledge of B&Bs is ideal. Once you’re ready to officially list your business, marketing that it’s for sale will be key. There are many online resources to help you sell your business, but working with a business broker will ensure that your B&B is listed for sale where it will get the most visibility from serious potential buyers. Just as with the housing market, there are better times of year than others to list B&Bs for sale. Springtime is typically when people consider new business opportunities. No matter what time of year you’re selling, use the season to your advantage. If it’s October or November, for example, adorn your B&B with all the charms of the holiday season. If you’re selling in the spring or summer, increase the appeal of your outdoor spaces with flowers or greenery.